​Let's put this to bed once and for all: Chelsea were not a terrible side before Roman Abramovich took over. Of course, they weren't winning league titles, but in the build-up to the Russian billionaire's arrival, the Blues secured seven top six finishes on the trot, including three in the top four. And a host of cup wins to boot; that's hardly Manchester City territory, now, is it? Anyway, the west Londoners are now a massive, global football club with supporters scattered across the world, and it seems crazy to think they were on the brink of going bankrupt before Roman rocked up in SW6. 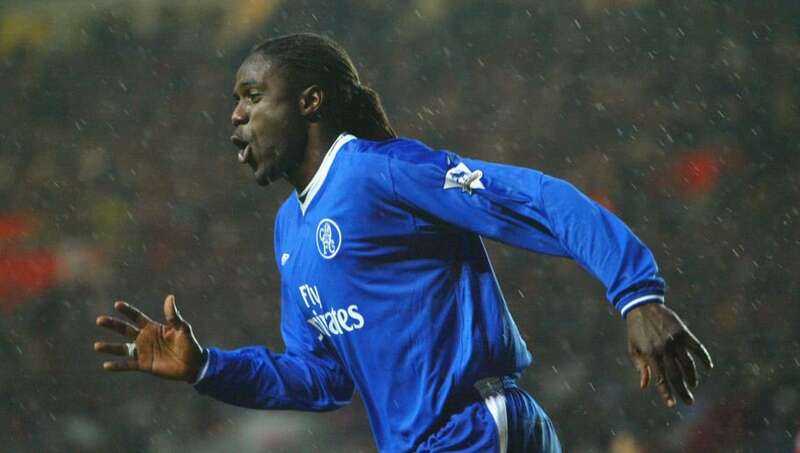 Back in the day, Chelsea had a host of exotic talents arrived at the club as the Premier League era was beckoned in, but sadly many of them have been unforgivably forgotten over the years. Well now, we've unearthed eight of the club's finest cult heroes for your delectation and appreciation, so sit back and enjoy! For a while, Carlton Cole was to ​Chelsea fans what Harry Kane was to ​Spurs in the early stages of his career - a bright, new dazzling youth academy prospect who would go on to unparalleled glories with club and country for decades to come. While this might turn out to be the case for the latter, young Carlton never really made the grade at ​Chelsea. Still, he was heartily encouraged during his four season spell with the Blues, and ended up with seven England caps to boot! That's one less than Matt Le Tissier, people. He went on to spend most of his career with ​West Ham United, before finishing up with Indonesian side Persib Bandung, as one does. To be honest, I seldom go a day without thinking about Winston Bogarde, and the £10m in wages he picked up over four years, while making just 12 first team appearances. The defender arrived at Stamford Bridge to much fanfare and excitement - a CV boasting spells with Ajax, ​AC Milan and ​Barcelona, plus a solid 20 caps for the Netherlands national side, what could go wrong? A lot, basically. Bogarde never played, and no club could afford his wages (though to be fair, ​he did actually want to go out on loan), so he did basically nothing for four seasons. Yes, he was only at Chelsea for one season on loan, that can't be denied. But, he only went a scored a derby winning goal against ​Spurs on his debut! And for that, he makes the list. He went on to net a solid five goals in 15 games for the Blues, and despite being over the hill, went down an absolute storm with the Chelsea faithful. What's he up to these days, you ask? Bit of coaching perhaps? Maybe tending a nice little portfolio of stocks and shares? Nah, mate. He's just the ​President of Liberia! Speaking of goals against Spurs, here's Mikael Forssell, who, after leaving Chelsea, once scored a hat-trick against the north Londoners for Birmingham City. What a boy! Anyway, his time with the Blues was more frustrating than anything else, as he failed to live up to his great potential. Still, the Finnish flop did has some excellent outings in a royal blue shirt, before becoming one of the founding members of the club's notorious 'Loan Army'. What a busy bee this cheeky chappy was back in his playing day! Jody Morris went on to be a youth coach at Chelsea (he's now at Derby with some fella called Frank Lampard), but back in his heyday he was part of the most unrelentingly cockney central midfield partnership in Premier League history, whenever paired alongside Denis Wise.. Unfortunately for Morris, he could never get a look-in, as Roberto Di Matteo, Didier Deschamps and Gus Poyet were all above him in the pecking order. A real pity, it must be said. Jesper Grønkjær was an extraordinarily frustrating player; capable of terrorising defences with his dribbling skills, he'd dazzle his way through the backline, before - much like Theo Walcott - fluffing his lines at the last minute, and either skewing his shot wide or ballooning his cross out for a throw in. Still, ol' Jesp was a real fans favourite at the Bridge, and his dynamic style of play was perfectly complimented by Damien Duff on the other wing. Eventually, he was moved on in place of Arjen Robben, which was, to be fair, a sound decision. It's about time we had a goalkeeper in the mix, isn't it? Right then, here's superb stopper Ed de Goey, who excelled for Chelsea a solid four seasons, before being eventually phased out to bring in Carlo Cudicini, who was, in truth, a better keeper. Speaking of the Charity Shield! Who was it who scored his first Chelsea goal to win his side that very same prestigious competition against ​Manchester United? You're absolutely right, Mario Melchiot. Unfamiliar with the defensive live-wire? Why, he's only the right-back Cafu could have been. The Netherlands ace was a full-back stalwart for the Blues, before José Mourinho committed a crime even more severe than letting Mohamed Salah go, and sold Super Mario to Birmingham City. Shame on you, José! I've had some rotten first days at jobs in my time; in my teenage years, a chef pinned the blame on me for suffocating some mussels in a fridge with clingfilm. It was him (I was surprisingly well clued up on health and safety regulations) and I will one day have my sweet vengeance. Think that's a bad first day? That's got nothing on Nigerian ace Celestine Babayaro, who managed to break his leg on his pre-season debut for the Blues, after trying to perform his iconic backflip celebration after his side scored (nope, it wasn't even his goal) against er, Stevenage Town! The tenacious left-back went on to be a regular fixture in the side for a whole nine seasons. A true and unappreciated Chelsea great, that's for sure!